Credit cards these days often dress themselves up with cash-back opportunities or chances to accumulate points or miles. But sometimes what you really need from your credit card is just some extra time to pay off a big purchase without racking up massive amounts of interest or an overdraft protection option to link to your checking account. And, of course, you would like to do these things without paying an annual fee to carry that card. If this is you, it’s time to check out the Wells Fargo Platinum Visa card, a no-annual-fee credit card with an introductory 0 percent APR on purchases and balance transfers. It’s a no-frills, no-annual-fee card you can count on to snag you a bit of extra time to pay off consolidated credit card debt or a big purchase and to be a safety net in the case of an overdraft emergency. Pay an introductory zero interest for 18 months on purchases and balance transfers (then, 17.74%-27.24% Variable). Cellular telephone protection if you pay your monthly bill on the card. Zero Liability protection for unauthorized transactions. Access to budgeting and money management tools. And, while the Wells Fargo Platinum Visa card doesn’t have reward options, that doesn’t mean it doesn’t come with some helpful (or even money-saving) features to have at your disposal. It’s the kind of card that’s easy to carry and might be exactly what you need in some specific situations (more on this below). Stuff happens. Your dog shreds your sofa and eats your loveseat. Your best friend decides to get married in Tahiti and asks you to be the maid of honor. Your air conditioner goes kaput on the first 90-degree day of the summer. It’s stuff you can’t necessarily prepare for, but you must pay for. It’s situations like these that can run up a credit card balance fast and, to add insult to injury, lead to some hefty interest charges. But with the Wells Fargo Platinum Visa card;s introductory 0 percent APR on purchases and balance transfers, you can make those purchases (or transfer them if they’ve already happened) and avoid racking up interest while you work to pay off those charges. New cardholders have 18 months to make those purchases and balance transfers without accruing interest (then, 17.74%-27.24% Variable). This isn’t the stuff of credit card-reward fantasies, but it’s certainly practical and, if you find yourself in these situations, can certainly be a financial lifesaver. Even after that introductory 0-percent APR period ends, the Wells Fargo Platinum Visa card still packs a punch for your wallet. One unique feature? Cardholders enjoy cellular telephone protection, a unique but potentially huge feature. You can also enjoy easy access to your FICO® Credit Score with Wells Fargo Online®. In order to be eligible should you need it, you must pay your monthly cellular bill on your Wells Fargo Platinum Visa card. The coverage protects the primary cardholder for up to $600 in the event the phone is damaged or stolen. Note that the protection does not apply to lost phones. The primary phone on the cellular account as well as the next three phones as listed on the bill are eligible for the protection. Each claim is subject to a $25 deductible and claims are limited to two per year with a maximum benefit of $600 per claim and $1,200 per year. This is a no-nonsense card to have in your credit card arsenal, but it does lack the allure of rewards-earning potential. 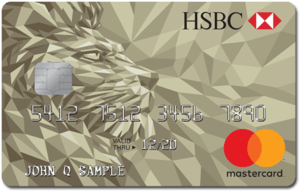 If you’re in the market for low introductory APRs, this card is for you; if you’re looking to rack up rewards as you spend, it’s best you look at perhaps the Wells Fargo Cash Wise Visa® Card instead. Additionally, there are some fees associated with the Wells Fargo Platinum Visa card card that could add up fast. First, there is an intro fee of either $5 or 3% of the amount of each balance transfer, whichever is greater, for 120 days from account opening. After that, up to 3% for 120 days, then 5% for each balance transfer, with a minimum of $5. And if you’ll be traveling abroad, keep in mind that the Wells Fargo Platinum Visa card does have a 3 percent foreign transaction fee. Wells Fargo Platinum Visa card vs. Chase Freedom®. Neither the Wells Fargo Platinum Visa card nor Chase Freedom® comes with an annual fee. What they do both come with is an introductory zero interest period on purchases and balance transfers though it's just for 15 months with the Chase card (after the 15 months, the rate jumps to 17.24 - 25.99% Variable for Chase Freedom®). Looking beyond the intro offers, the differences are significant. Chase Freedom® is a cash-back rewards card that allows you to earn 5% cash back on up to $1,500 in combined purchases in bonus categories each quarter you activate. Enjoy new 5% categories every 3 months like gas stations, restaurants, and wholesale clubs. Unlimited 1% cash back on all other purchases. If you’re looking for a basic card with an attractive balance-transfer option, this could be a toss-up. If you want rewards, you should consider Chase Freedom®. 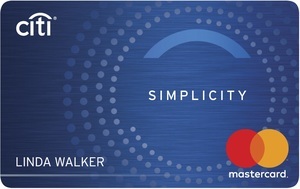 The Citi Simplicity® Card - No Late Fees Ever (Citi is a CardRatings.com advertiser) brings another noteworthy interest-free period to the table: 12 months (from account opening) with a 0 percent APR on purchases and 21 months (from first balance transfer) on balance transfers--all transfers must be made within the first 4 months (then, 16.24% - 26.24%* variable, based on creditworthiness). Be advised that if you transfer a balance after the 0% intro offer expires on the Citi Simplicity® Card - No Late Fees Ever card, both new purchases and unpaid purchase balances will automatically accrue interest until all balances, including your transferred balance, are paid in full. Furthermore, the Wells Fargo card does offer you that cell phone protection as long as you pay your bill with the card, so it could save you some money even after the intro period ends. The Barclaycard Ring® Mastercard® has no annual fee, nor does it charge foreign transaction fees, meaning you’ll save 3 percent per transaction if you use it instead of the Wells Fargo Platinum Visa card when you travel abroad. We see the Wells Fargo Platinum Visa card as an excellent option for the credit card user who doesn’t want a lot of details to keep up with, but does need the option to make a large purchase or consolidate some debt and pay zero interest for a time. Take advantage of an introductory 18 months of zero interest on purchases and balance transfers (then, 17.74%-27.24% Variable). There's no annual fee to eat into the money you'll be saving with that lengthy 0-percent APR intro period. Cardholders receive cellular telephone protection if they pay their monthly bills on their card and get easy access to their FICO® Credit Score with Wells Fargo Online®. There isn't an opportunity to earn rewards for your spending with this card.